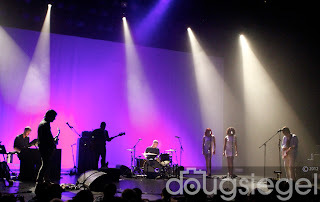 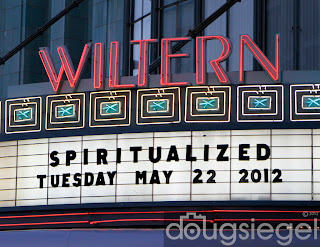 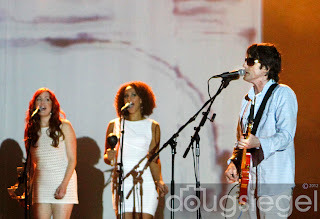 Spiritualized is on tour to promote their new album, Sweet Heart Sweet Light, and made a stop at The Wiltern in Los Angeles, California on May 22, 2012. 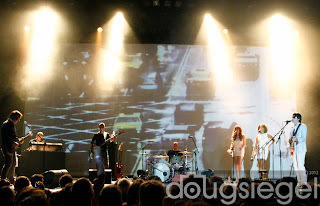 The British ensemble was in top form and dazzled the crowd of steady followers as the band launched into their brand of psychedelic space gospel rock. 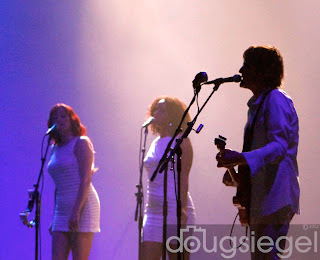 On assignment with a record label on this particular evening, I noticed that the followers of the band are people that really know music, and follow talented bands of every genre. Needless to say, Spiritualized is a musician's band with a healthy dash of soul. 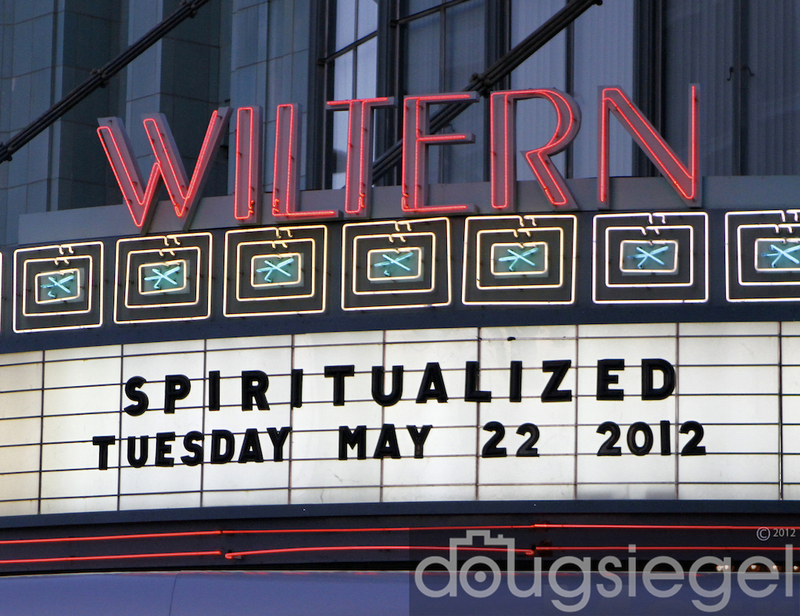 The setlist at the Wiltern consisted of several songs off their new album and classics such as "Come Together" and "Cop Shoot Cop." 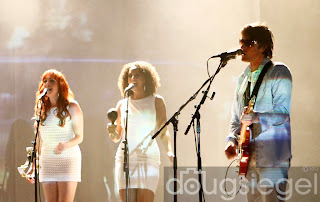 Jason Pierce, the bands front man who also plays in outfits such as Lupine Howl, guided the band through an epic night of music that was greeted with belting applause and intense awe. 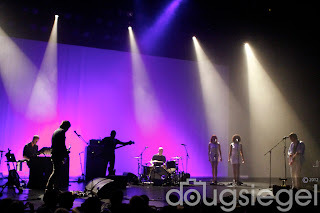 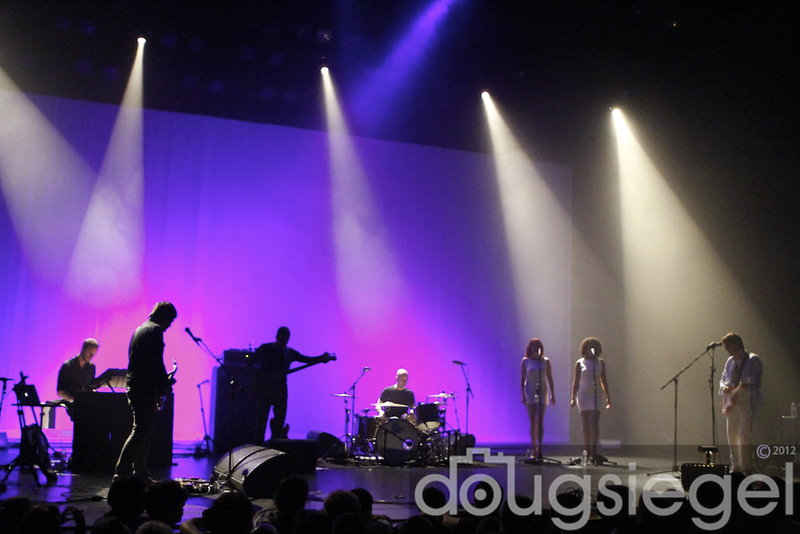 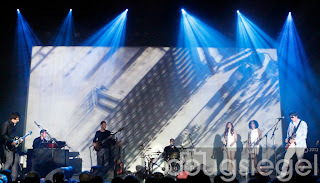 Spiritualized is currently on tour in the United States and then off to Great Britain.